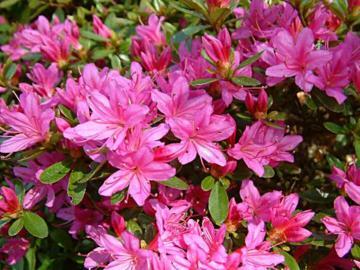 Dwarf, compact, evergreen Kurume azalea. Small leaves. Trusses of funnel-shaped, bright red-purple flowers in spring.